Lost: 1 June, 1940 (Capt. D. J. R. Simpson, RN.) 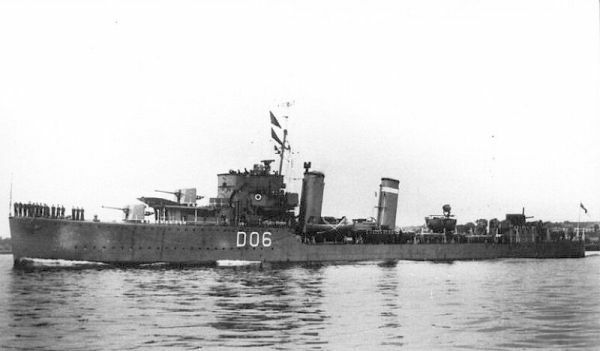 also Commanding Officer of the 19th Destroyer Flotilla Flagship Rear-Adml Wake-Walker) was sunk by German Ju87 Stuka dive bombers off Dunkirk, France 40 of the crew were killed, while she was participating in the evacuation of the British Expeditionary Force from France.